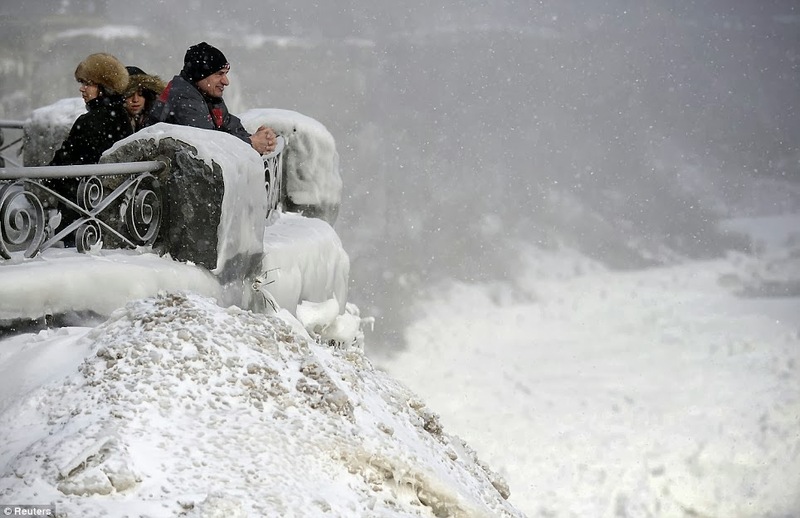 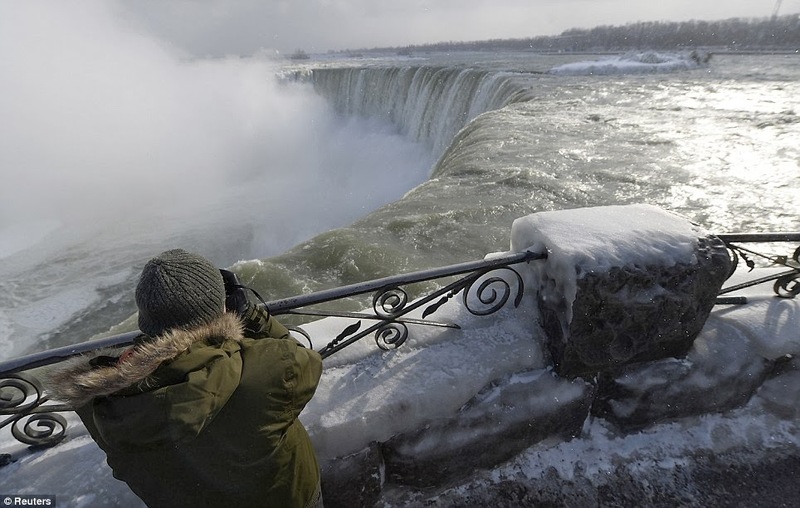 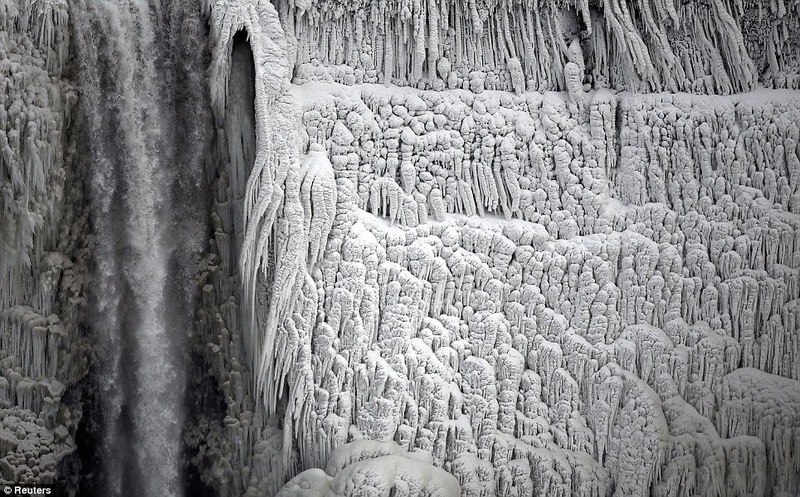 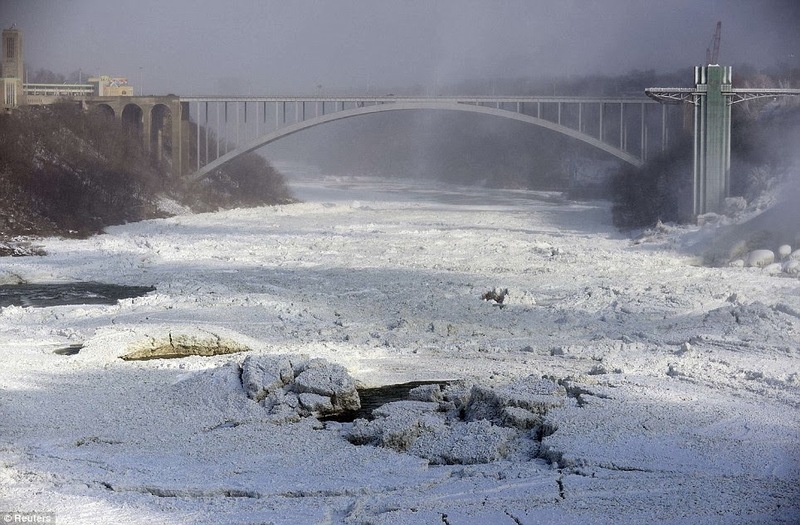 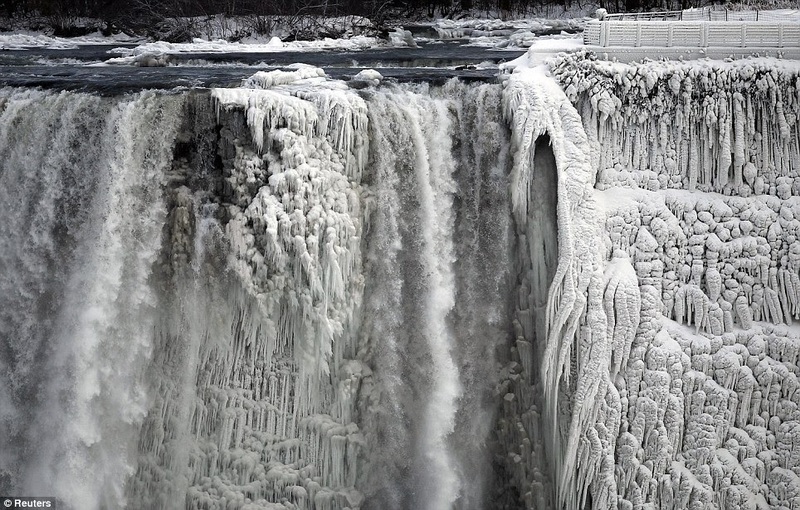 Who would ever of thought that the Niagara Falls would ever FREEZE over ? 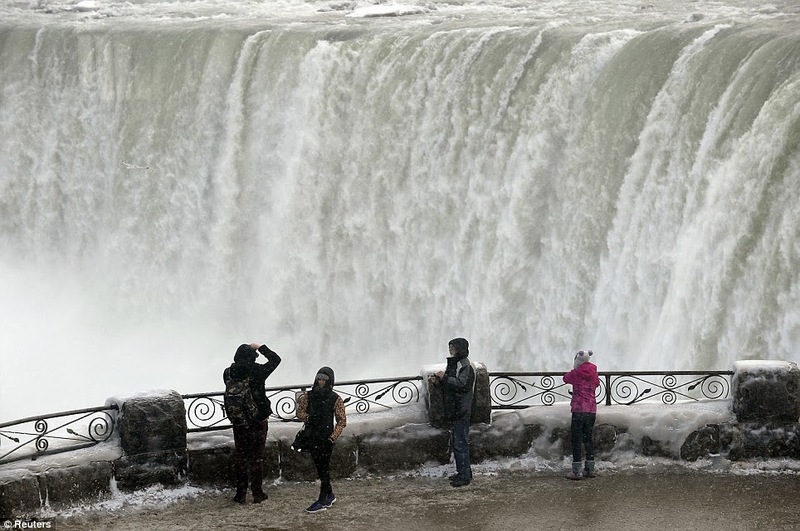 Yes, its happened, due to the freakish weather pattern over America that has caused havoc, has even drifted over the falls park and turned this popular visitor spot in to a block of ice. 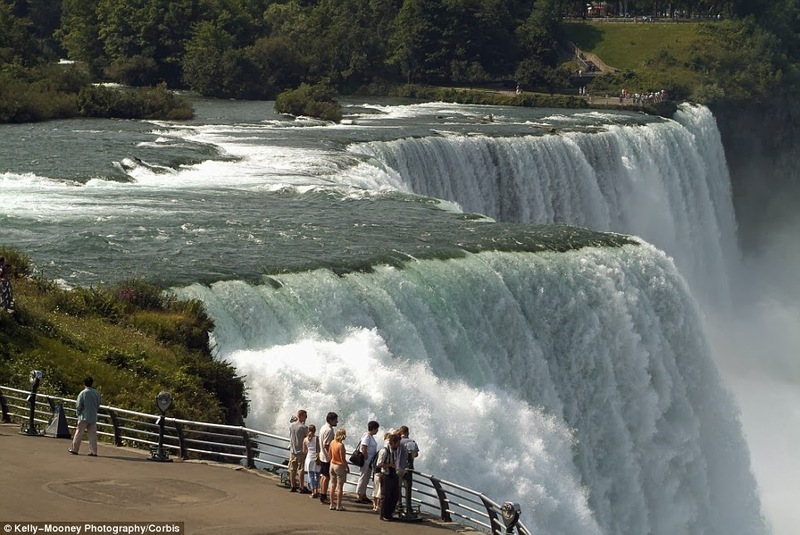 The falls in full stream. 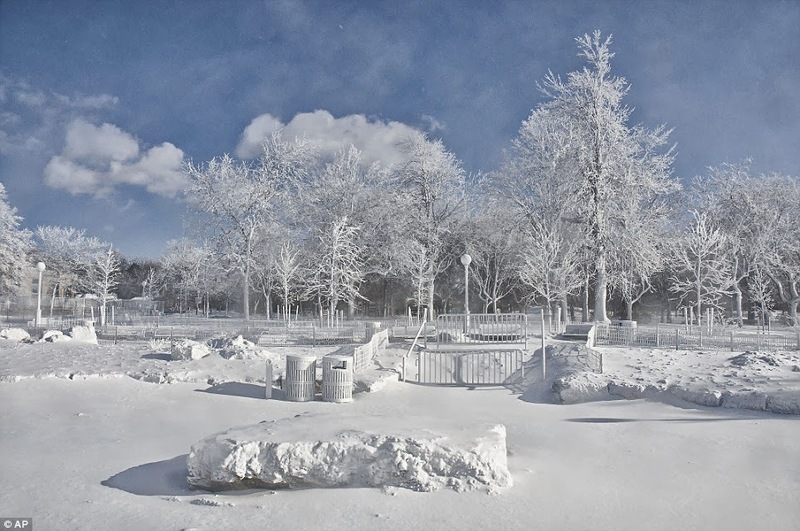 temperatues beginning to drop as with the snow. 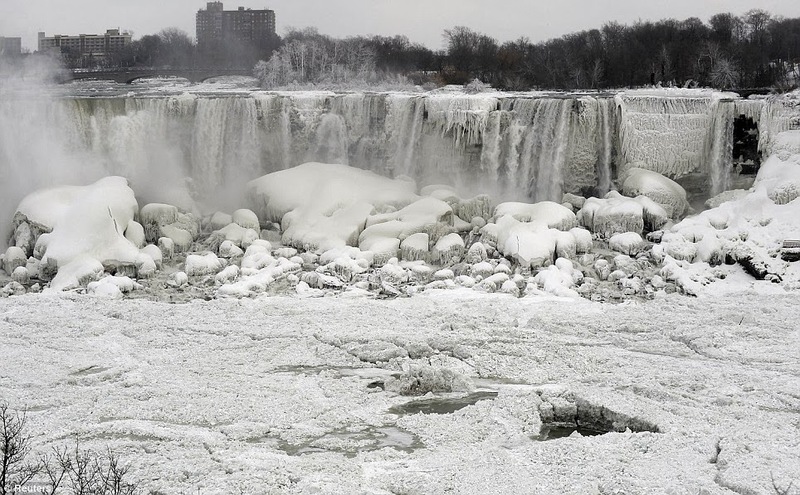 The falls now freezing up to the top.